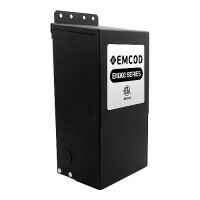 EMCOD ML100S24DC 100watt 24volt LED magnetic DC driver is dimmable, black powder coated with both primary and secondary self-reset circuit breakers for indoor or outdoor lighting applications. 120volt input. Class 2. WARNING: The world of LED lighting is changing rapidly. We have found that LED tape light suppliers are now supplying a super bright/high output LED Tape Light or RGB-W LED tape light products that may not perform well with standard magnetic LED drivers / transformers and may require the new electronic constant voltage transformers. We recommend that you bench test any new products with your dimmer, transformers, LED product to insure that it performs well as a system and does not overheat your transformer and dims in a manner that will meet your customers expectations. This will help avoid problems in the field. 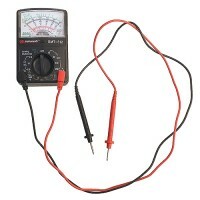 We recommend a load of up to 80% on Magnetic Transformers and 80% on Electronic transformers. MAG-LED (ML) Series is EMCOD's revolutionary compact, dimmable, low profile magnetic LED transformer drivers. The transformer core and special low drop voltage rectifier are designed to lower losses and make the ML series very efficient and energy saving with low temperature rise. 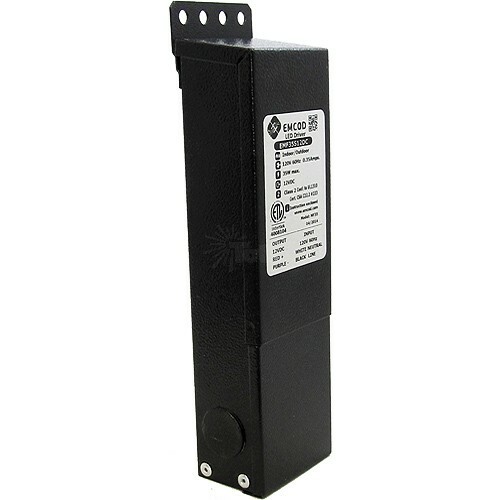 All the ML drivers have primary and secondary self-reset thermal circuit breakers, can be fully loaded, have excellent load regulation with input and output lead wires. This is an electrician installed item and does not include a timer, photocell or power cord. You are welcome to order these parts as separate components as your project requires. This is a magnetic transformer and requires a magnetic dimmer if dimming is required. Be aware not all fixtures and bulbs are dimmable. This transformer is available in both AC and DC, 12/24volt and 120 or 277volt. Make sure you have the correct unit and check your order carefully. This is a lighting transformer and not made to work with motors or other types of electrical circuits. Always refer to the lighting diagram included on each web page before you commit to this product. If you have questions please contact us.